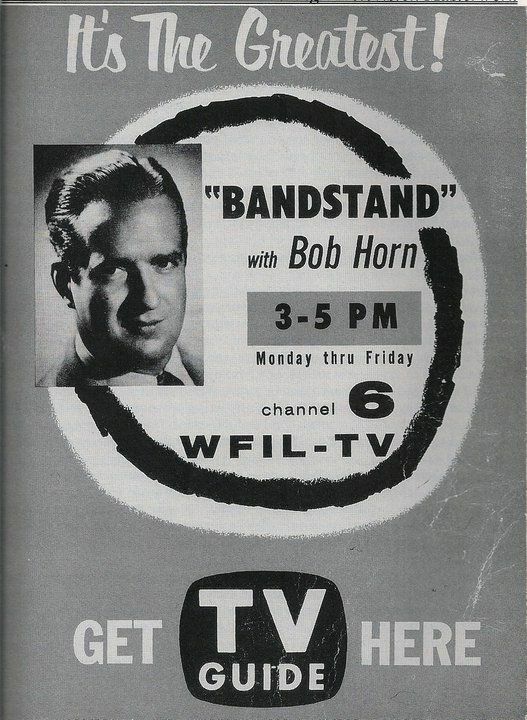 September 1952 Bandstand premiers locally on WFIL-TV Channel 6 (now WPVI-TV) hosted by Bob Horn. Dizzy Gillespie is on the first show along with a film of Peggy Lee singing Mañana. Horn’s Bandstand becomes a daily show on October 6 modeled on local dance show on the radio from Joe Grady and Ed Hurst’s 950 Club. Bandstand was on the air from 3:30 to 4:45 as students come home from school.